Having just landed in Newark Liberty International Airport in New Jersey for the first time within the last 36 or so hours ... and then to have the following article forwarded to me on my return home to Virginia by a mutual friend, I am just so happy for and proud of Celine Richardson. ... And although there is some mention of St.Lucia, Celine attended the same secondary (high) school as I, and was in the year below mine at the St.Joseph's Convent. Our SJC principal was a Trinidadian nun called Sister Claire, sister to the calypsonian Crazy. Anyway, Celine RIchardson is the island girl born in Canada with Trinidadian, Jamaican and St Lucian roots who has etched her name on the map in medicine. 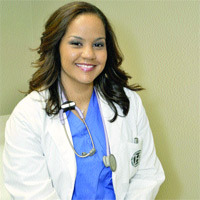 Read entire article: Dr. Celine Richardson - A major player in history-making, ground-breaking surgery.